We love Haribo with the various fun shaped jellies. Most parents by now will have come across the starmix range with their mini party packs being extremely useful as party bag fillers. Haribo asked me which my favourite Haribo are from the Starmix range. It was a hard decision but I decided on the rings. For a limited period of time Haribo are inviting us to choose our favourite piece within Haribo Starmix and join their team for a chance to win prizes inspired by our chosen piece. There are over 4000 prizes to be won including mugs, towels, sunglasses, keyrings and shopper bags. They are giving away 25 prizes each day. We were sent the goodies pictured in the box which were very yummy! We did not receive payment for this post. 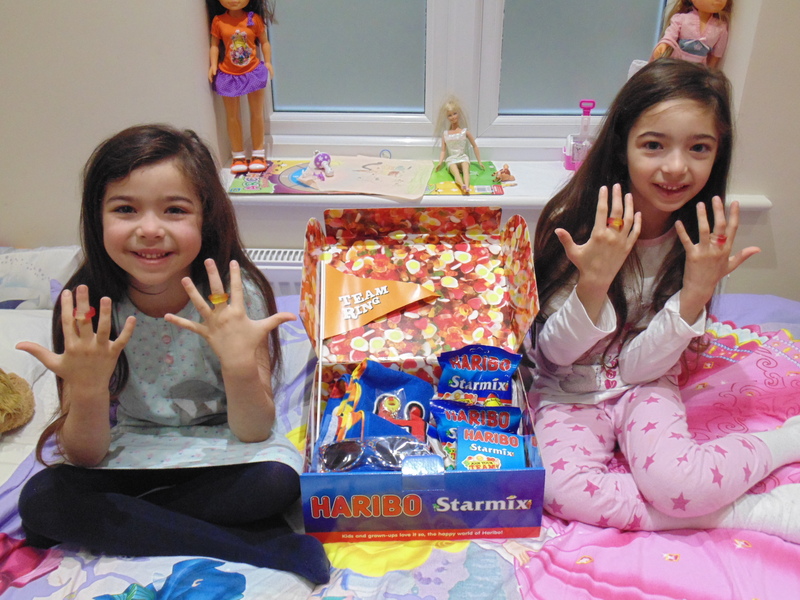 Haribo Easter Selection 2014 To share or not to share with the kids?